Doing anything for the first time can be scary. Whether we are starting a new job, entering a new school, changing a habit that’s not working for us, or just trying to think differently about a problem, we often feel uncomfortable with the idea of change, and doubtful of our ability to succeed at something new. Not surprisingly, with all that anxious doubting running through our heads, we often feel like just doing things the same way rather than taking the risk of trying something new. This is not a monumental first. This is a small, relatively unimportant, first effort that will perhaps only be read by a few people (mostly people who love me and won’t tell me if it’s terrible!). And yet I am petrified I will screw it up somehow. The voice in my head goes something like this: . . . Will I be able to do this new thing? Will I do it well? And what if I am not successful? Will people think less of me, laugh at me? 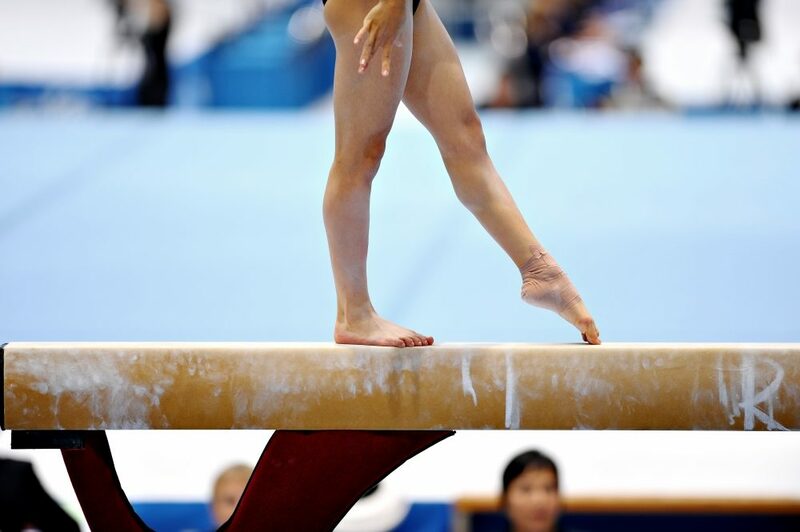 When I was 8 years old, I was captivated by a young athlete from the other side of the world as she attempted many firsts in the spotlight of international competition. Like many other young girls in the United States in the summer of 1972, I watched with anticipation and delight as 17-year-old Olga Korbut, a Belarusian gymnast competing for the USSR, took the gymnastics world by storm at the summer Olympic games. Relatively unknown to the international gymnastics community, and looked upon with skepticism for her youth and technical athleticism (both new to women’s gymnastics), by the end of the competition Korbut had introduced two moves never before attempted by a gymnast, won four gold medals and changed the sport of women’s gymnastics forever. Like so many other girls watching those games, I longed to be Korbut, to take the risks she took, to do these new things. And, yes, to win those gold medals. Problem was, I had never taken a gymnastics class, and didn’t know if I was capable of completing even the most rudimentary of tumbling moves. I was a good student, as were many in my family before me. I was involved in theater, as were my parents. But no one in my family was an athlete. In fact, no one in my family even exercised for health reasons – ran, took walks, rode a bike. This would be a big first for me and, to my mind, a big risk. And so, yes, the anxious voice in my head was quite loud: Will I be able to do this new thing? Will I do it well? And what if I am not successful? Will people think less of me, laugh at me? Turns out, I actually wasn’t all that great at gymnastics, not just my first time out, but again and again. And that was hard for me. I was used to doing things well, and I really had to work at this new endeavor. But I stayed with it, eventually moving from a beginner tumbling class to a real gymnastics facility (with all the cool equipment I had seen on television!) and then, finally, to a spot on a local gymnastic team. I eventually even competed, at a very low level, at a state championship. I didn’t do as well at this event as most of my teammates, but I earned a few medals and felt good about my performance. Looking back, what has become most important to me about my time as a gymnast is not the more obvious achievement, those few medals, but the rather considerable effort it took for me to earn them. While I had watched other girls on my team master new moves easily, I had really needed to work hard to learn a new routine, to improve my strength, to get up the courage to try something new. All of this struggle gave me an early lesson in both humility and tenacity, in how to work hard at something without necessarily always experiencing the satisfaction of success. And it encouraged me to be braver about trying new things, doing new activities for the first time. Now, as I write my first blog post, and as many of those same anxious doubts continue to run through my head, my memories of gymnastics – the fear, the struggle, the life lessons – remind me that it is not by any achievement in this new thing that I should measure my worth, but by my brave determination to try something at which I am not sure I will succeed, to do a new thing without knowing how the experience will turn out. So here I go. And here you go along with me. Be kind. This is a first for me, and I am still terribly worried I will screw it up!